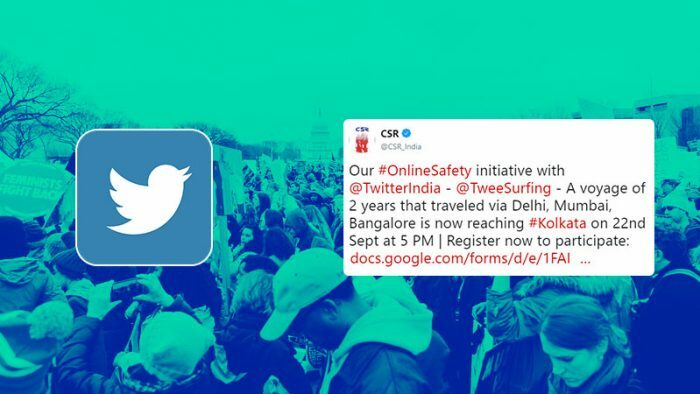 Twitter and Centre for Social Research announced the launch of #TweeSurfing, a public education initiative, in Kolkata over the weekend. The initiative seeks to address online safety issues and spread knowledge on how people can express themselves and engage positively on the platform. Twitter has launched #Tweesurfing events in Delhi, Mumbai, Bangalore and now Kolkata. The launch in Kolkata also saw active participation from the youth who were curious to hear from the panellists on their take regarding parental control on the use of technology. Also, there were questions regarding initiating healthy discourses on platforms like Twitter where they can put forth their issues and have a larger group talk about it and provide solutions. The #TweeSurfing website currently hosts over 90 video interviews with voices of popular Twitter users in India. The project has received the support of many influential users including Sorabh Pant (Comic) @hankypanty, Kaneez Surka (Comic) @kaneezsurka, Gaurav Kapoor (TV presenter) @gauravkapur, Aditi Mittal (Comic) @awryaditi, Ankur Tewari (Musician) @ankurtewari, Trisha Shetty (NGO Leader) @TrishaBShetty, Harish Iyer (Equal Rights Activist) @hiyer, Anshul Tewari (YouthNGO Leader) @anshul_tewari, Amit Malviya (BJP IT Head) @malviyamit, Jay Panda (Member of Parliament) @PandaJay, Ridhi Dogra (Actor) @iRidhiDogra, Amrita Puri (Actor) @_Amrita_Puri, Suhel Seth (Marketing Guru) @suhelseth and more. Back home after a whirlwind experience with @TweeSurfing. The team feels like family. A woman who signifies Strength Dignity n Grace. My #FanMoment with Dr.@ranjanakumari.